Avoiding middle-age spread could be one way to delay the onset of dementia, a new study hints. Researchers found that among 142 elderly adults with Alzheimer’s disease, those who were overweight at age 50 tended to develop the memory-robbing disorder earlier. On average, the study participants were 83 years old when diagnosed with Alzheimer’s. But that age of onset varied according to people’s weight at age 50: For each unit increase in body mass index (BMI), Alzheimer’s set in about seven months earlier, on average. Other studies have found that obesity may boost the risk of developing Alzheimer’s. But this research suggests it also speeds the onset, said senior researcher Dr. Madhav Thambisetty, of the U.S. National Institute on Aging. “We think that’s important because one of the goals in Alzheimer’s research is to find ways to delay the onset of the disease,” Thambisetty said. The study, published online September 1, 2015 in the journal Molecular Psychiatry, does not prove that obesity, itself, hastens Alzheimer’s. However, obese adults often have health conditions that have been linked to an increased Alzheimer’s risk, such as high blood pressure, high cholesterol and diabetes. In the study, Thambisetty’s team did account for those conditions — plus smoking — and found that a higher BMI at age 50 was still connected to earlier Alzheimer’s onset. What’s more, brain autopsies showed that Alzheimer’s patients who’d been heavier in middle age generally had more brain “tangles” — twisted strands of protein that build up in the brains of people with the disease. It’s not clear, however, whether those brain abnormalities are the reason for the earlier Alzheimer’s, Thambisetty said. Plus, he noted, there were some factors that his team could not account for — such as the quality of people’s diets. That’s important because research has suggested, for instance, that a Mediterranean diet — rich in vegetables, fruit, and “good” fats from olive oil and fish — may help stave off Alzheimer’s, according to the Institute on Aging. There is also evidence that exercise, both physical and mental, could have a protective effect. Still, another Alzheimer’s researcher said the bottom line is this: The same factors that affect heart health may also affect brain health. “This study confirms that there is a bundle of risk factors for Alzheimer’s that we can modify,” said Dr. Malaz Boustani, director of the Center for Brain Care Innovation at Indiana University and a spokesman for the American Federation on Aging Research. The study findings come from a long-term review of nearly 1,400 older adults who were free of dementia at the outset. Just over 10 percent were eventually diagnosed with Alzheimer’s. The study can’t answer the question of why higher BMI — a calculation of body fat — in middle age was linked to earlier Alzheimer’s onset or to higher levels of brain tangles, Thambisetty said. But, it’s “plausible” that obesity, itself, contributed, he said. Many studies, he noted, have found that obesity can cause a state of chronic inflammation in the body, including the brain. And that inflammation might worsen the brain damage seen in people with Alzheimer’s. While questions remain, there are already many health reasons to avoid mid-life obesity, Boustani pointed out. “This study gives people yet another reason to try to reduce their BMI,” he said. 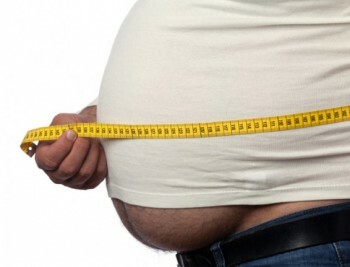 Thambisetty agreed, adding that’s why preventing obesity in the first place is key. The Dementias: Hope through Research is a 1-hour online continuing education (CE/CEU) course that describes specific types of dementia and how the disorders are diagnosed and treated, including drug therapy. Alzheimer’s Disease Progress Report: Intensifying the Research Effort is a 3-hour online continuing education (CE/CEU) course that reviews basic mechanisms and risk factors of AD and details recent research findings. Alzheimer’s: Unraveling the Mystery is a 3-hour online CEU course that describes the risk factors for Alzheimer’s disease, effective steps for prevention, strategies for diagnosing and treating Alzheimer’s disease, and the search for new treatments.